According to the Center for Disease Control and Prevention (2015), approximately 6 million (9.5%) American children, ages 5 to 17 years old, suffer from ADHD. Does your child suffer from ADHD? If so, you are not alone. Millions of children, worldwide, develop ADHD. So, what is ADHD? Well, its official medical name is Attention-Deficit Hyperactivity Disorder, and it is a chronic neurological-behavioral condition that is characterized by inattention, hyperactivity, and/or impulsivity. If your child has ADHD, he or she probably has a hard time sitting still for long periods of time (i.e. he or she may be fidgety), and/or get bored easily, especially if he or she is not interested in the activity. In addition, your child may have a hard time paying attention in class,and/or remembering instructions at home. Some ADHD children are also impatient, forgetful, clumsy, and/or lack proper social skills. Furthermore, it is not uncommon for children with this condition to start projects, but not finish them. Yes, children with ADHD have to deal with a lot, but there is good news. What? Well, medications and/or lifestyle changes (i.e. healthy foods) can relieve your child’s ADHD symptoms. How? Well, ADHD is connected to brain activity and function, therefore vitamins, minerals and other nutrients can positively affect behaviors. Are you interested in learning what foods are beneficial for your child? If so, you are in luck – this article will teach you which foods can relieve ADHD symptoms in children. Does your child loved string cheese, or just cheese in general? If so, he or she is “just like other kids,” who love cheese! The good news about cheese is that it can actually help ease your child’s ADHD symptoms. How? Well, cheese is filled with protein, which helps the brain function properly. Proteins play a significant role in helping children with ADHD concentrate and focus better. Other healthy protein-rich foods include: eggs, lean red meat/beef, lean chicken (chicken breasts), pork chops, turkey, fatty fish (i.e. salmon, tuna, halibut, etc. ), low-fat or skim milk, soymilk, tofu, yogurt, pumpkin seeds, almonds, peanuts, and beans. It is recommended that children with this condition consume a high-protein diet. Why?Because protein can help them pay attention in class and follow instructions better at home. You may argue that water is not technically a food, and you are right, but it is important for children with ADHD to drink lots of water. Why? Well, because the brain consists of mostly water (80%), therefore, it is important that the brain be hydrated at all times. A hydrated brain functions better, which is beneficial for those with neurological-behavioral conditions like ADHD. Refrain from giving your child sugary drinks like: soda, sugary fruit juices, flavored milks, Kool-Aid, or sugar-based teas. Rather, stick to plain old water. If your child is not fond of water, put a few drops of cranberry juice or all-natural fruit juice into the water to give it a slight sweet taste. Sugary drinks have no nutritional value, and can actually worsen ADHD symptoms. Another healthy food that can relieve ADHD symptoms in children is oatmeal, especially steel-cut oatmeal; however, your child may prefer the fruity instant kind. Why oatmeal? Well, oatmeal contains complex carbohydrates (the healthy kind), which aids in memory, retention, and focus. Complex carbohydrates also produce a “calming” sensation in the body, which is beneficial for children with hyperactivity. Other healthy complex carbohydrates include: whole grains (i.e. rye, spelt, wheat bread, brown rice, couscous, quinoa, millet, wild rice, and barley), fruits (i.e. strawberries, blueberries, raspberries, kiwi, oranges, and apples). These foods are also antioxidants, which helps the body (including the brain) heal from injuries. 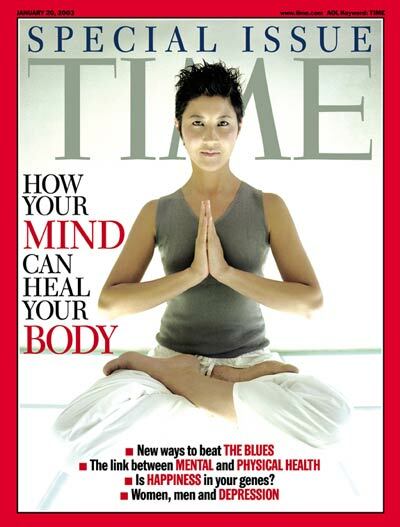 Fatty fish like: tuna, salmon, king mackerel, and halibut can help reduce or eliminate ADHD symptoms in children. How? Well, these fish are bursting with omega-3 fatty acids, which aids in mood regulation, mental alertness, mental clarity, memory, and retention. Other non-fish foods that contain healthy amounts of omega-3 fatty acids include: walnuts, olive oil, grass-fed meats, enriched eggs, flaxseed oil, and edamame. You may also want to consider increasing your child’s consumption of oranges. Why? Well, because they are chocked full of nutrients. It is important to make sure that your child is receiving the required amount of vitamins and minerals each day. 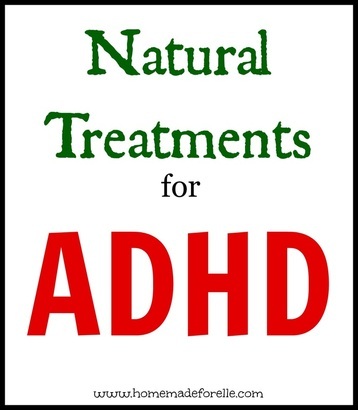 Vitamin and/or mineral deficiencies can trigger or exacerbate ADHD symptoms. Also, make sure your child consumes a healthy amount of fresh or frozen veggies. Why? Well, because they are also filled to the brim with nutrients. Note: Refrain from loading the veggies up with butters, sauces, and oils. Try to keep them as natural as possible. Also, stay away from processed foods like frozen snacks and dinners. It is recommended that approximately 50% of an ADHD diet consist of fresh fruits and veggies. It is important that your child consume a variety of fresh fruits and veggies. Why fruits and veggies? Well, because the vitamins and minerals in them can help control your child’s mood swings and disruptive behaviors. It is also important to avoid simple carbohydrates (the bad sugars) like: white rice, white pasta, white sugar, products made with corn syrup, and products made with white flour.Why? Well, because these simple sugars behave like a stimulant, which can cause mood fluctuations, a drop in blood sugar, hyperactivity, impulsivity, inattention, irritability, etc. Also, run away from fried, fatty foods like: hamburgers, fries, etc. Why? Well, because they typically contain large amounts of trans fat, which can make children with ADHDlethargic. Furthermore, make sure your child does not consume foods that contain dyes. Why? Well, because research suggests that food dyes can disrupt your child’s hormones and body chemistry triggering or aggravating ADHD symptoms.